The Abiel Smith School, originally founded in 1798 by African American parents in the Boston, Massachusetts community, was an institution for free African American students. It became known as the Abiel Smith School in 1815 after Abiel Smith, a wealthy white benefactor, endowed the school. 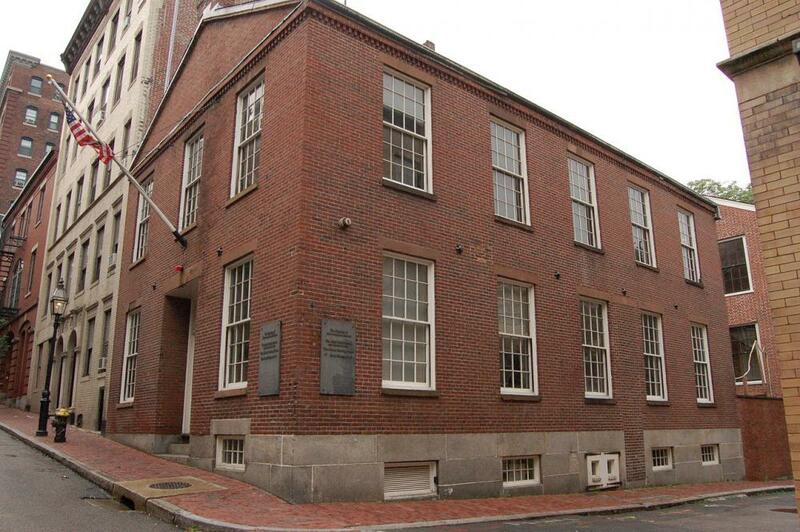 The Abiel Smith School was admitted into the Boston Public School system in 1816, making it the first public school in the United States for free African Americans. After moving a few times to different locations on Belknap Street, the school opened at its final location on March 3, 1835. By 1836, the school had 100 students and a predominantly white faculty. From its inception, the Smith School was far inferior in its facilities and instruction to the Boston Public Schools for white students. As a result, African American parents lodged frequent complaints about poor teaching and facilities. For example, in 1833, some parents complained that a white teacher named William Bascom should be removed for visiting a “house of ill fame” during the school day. In an effort to reduce parent complaints about quality, the city moved the Smith school to the location of the 1835 building, a newer, better facility with more space. The instruction, however, did not improve. Starting in 1844, the school became the center of a series of desegregation battles within the African American community with some urging that the institution be closed and students integrated into white schools, while others arguing that it should remain open because the racism the children would encounter in predominantly white public schools would be detrimental to them. A series of petitions to the city, and eventually lawsuits, attacked the legality of racially-segregated education. The school was sometimes boycotted by African American parents. Throughout the 1840s, the disagreements within the African American community over the Smith School became increasingly strident. This ultimately culminated in a series of violent confrontations in 1851. Supporters and opponents of the school clashed, ending in a series of arrests and criminal trials. The Massachusetts court system rejected court challenges to the legality of the Smith School. Nonetheless, because of the constant turmoil over segregated education, the Boston government finally desegregated the city schools in 1855, at which point the Smith school closed. In 1887, the building was used as a home for African American Civil War veterans. The 1835 Smith School structure has been designated as a National Historic Landmark. Today, it is part of the Museum of African American history. Donald M. Jenkins, ed., Courage and Conscience: Black and White Abolitionists in Boston (Bloomington: Indiana University Press 1993); Hilary J. Moss, Schooling Citizens: The Struggle for African American Education in Antebellum America (Chicago, Illinois: University of Chicago Press 2009); Dorothy Porter Wesley ed. and Constance Porter Uzelac, William Cooper Nell: Selected Writings 1832-1874 (Baltimore: Black Classic Press, 2002); Boston The Liberator, August 27, 1836, September 14, 1855, April 26, 1850, November 9, 1849, October 5, 1849, August 10, 1849, September 21, 1849.